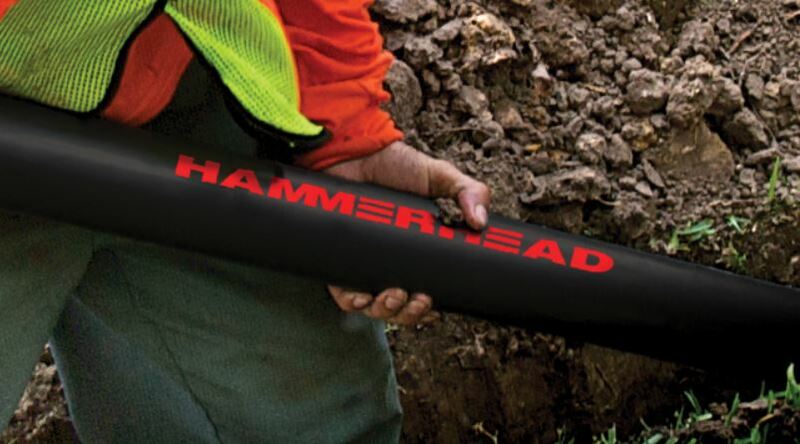 The revolutionary Catamount line of piercing tools from HammerHead® offers the industry a reciprocating head tool that is easy to start, regardless of air pressure level, and is the first pneumatic piercing tool head effective in both hard and soft soil conditions. The new Catamount tool line is currently available in 2.5" (64 mm), 3" (76 mm) 3.50 (89 mm) and 4.00" (98 mm), 4.38" (111 mm) and 5.125" (130 mm) diameter tools. Protect your investment with two year limited warranty protection on HammerHead Mole piercing tools compared to just 90 days with the leading competitor.